Yes that is a paper L.V. 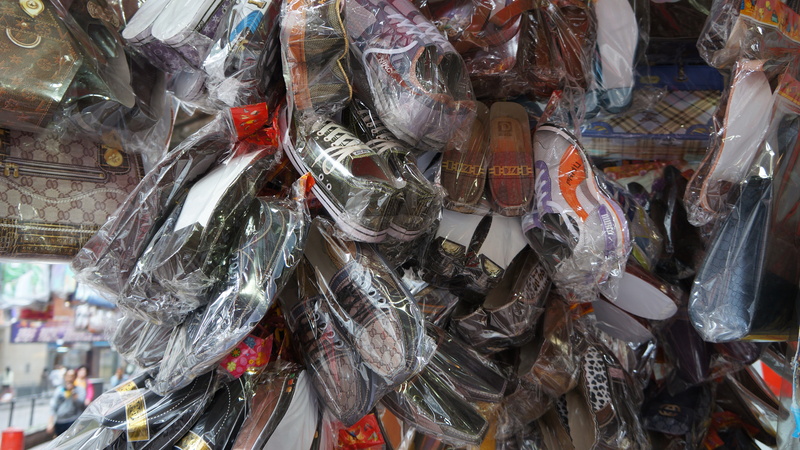 I was immediately struck by these paper shoes wrapped in plastic, as I thought they could serve no practical purpose–they must be ceremonial. 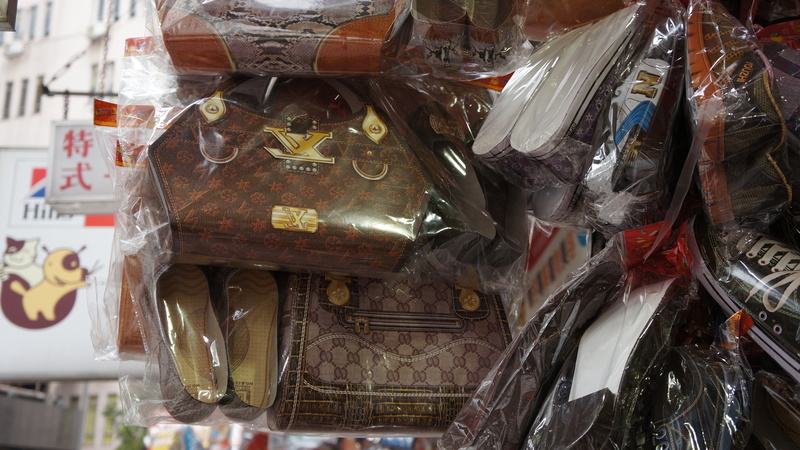 There was also paper clothing, paper designer handbags and paper money. The shoes are preparation for the Ching Ming Festival in 3 weeks time: the grave sweeping holiday. It is a holiday 3 months into the lunar calendar where you go clean the graves of your ancestors, weed away the overgrowth, and burn them paper money to help pay for things in the afterlife. Apparently the burning has expanded to include things the person would want during their regular lives, like Louis Vuitton and New Balance running sneakers. This is rather fascinating to me, but it is also somewhat risky for the local forests. This festival and the autumn lantern festival are peak times for forest fires because of the offerings. In spite of the danger, I am really enjoying learning new holidays that I had absolutely no awareness of before moving to Hong Kong. My new horizons hopefully won’t come with the destruction of my hiking trails this year. I currently look forward to seeing how quickly these things sell.